Please type your desired tags, e.g. Security, Tumor Microenvironment, Psychological Sciences, Bioengineering, Computer Science, Mechanical Engineering, STEM Writing, Online Education, design, Mental Health, Alcohol Studies, Chinese Language, Trope of monstrosity in literature and film, US History, Holocaust History and Literature, and etc. Alex R. Piquero is Ashbel Smith Professor of Criminology and Associate Dean for Graduate Programs in the School of Economic, Political, and Policy Sciences at the University of Texas at Dallas, Faculty Associate with the Center for U.S.-Latin America Initiatives at the University of Texas at Dallas, Honors Affiliate in the Hobson Wildenthal Honors College at the University of Texas at Dallas, Adjunct Professor in the Griffith Criminology Institute Griffith University (Brisbane, Australia), Life Course Centre Fellow, University of Queensland, Fellow of the University of Cincinnati Corrections Institute, Faculty Affiliate, Center for Violence and Injury Prevention George Warren Brown School of Social Work Washington University in St. Louis, and was Co-Editor of the Journal of Quantitative Criminology from 2008 to 2013 and currently serves as Editor of Justice Evaluation Journal. Prior to arriving at UT-Dallas, he was on the faculties of Florida State University, University of Maryland, John Jay College of Criminal Justice/City University of New York, University of Florida, Northeastern University, and Temple University. He has published over 400 peer-reviewed articles in the areas of criminal careers, crime prevention, criminological theory, and quantitative research methods, and has collaborated on several books including Key Issues in Criminal Careers Research: New Analyses from the Cambridge Study in Delinquent Development (Cambridge University Press, co-authored with David P. Farrington and Alfred Blumstein) and Handbook of Quantitative Criminology (Springer, co-edited by David Weisburd). His work has been cited over 34,000 times (h-index=102) and he has been ranked as the #1 criminologist in the world since 1996 in terms of scholarly publications in elite criminology/criminal justice journals. In addition to his membership on over a dozen editorial boards of journals in criminology and sociology, he has also served as Executive Counselor with the American Society of Criminology, Member of the National Academy of Sciences Panel Evaluating the National Institute of Justice, Member of the National Academy of Sciences Panel on A Prioritized Plan to Implement a Developmental Approach in Juvenile Justice Reform, Member of the National Academy of Sciences Panel on Modernizing the Nation’s Crime Statistics, Member of the Racial Democracy, Crime and Justice Network at Ohio State University, and Member of the MacArthur Foundation's Research Network on Adolescent Development & Juvenile Justice. 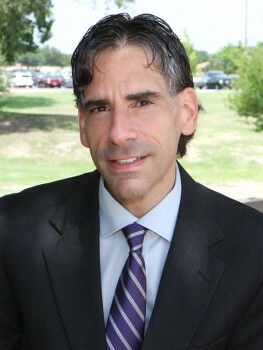 Professor Piquero has given congressional testimony on evidence-based crime prevention practices in the area of early-family/parent training programs, and has provided counsel and support to several local, state, national, and international criminal justice agencies, including various police and correctional agencies. In 2015, United States Attorney General Eric Holder appointed him to the Office of Justice Programs Science Advisory Board. 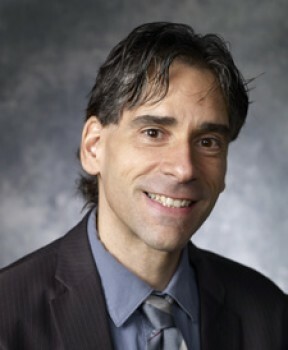 Professor Piquero is past recipient of the American Society of Criminology's Young Scholar (2002) and E-Mail Mentor of the Year (2005) Awards, Fellow of both the American Society of Criminology (2011) and the Academy of Criminal Justice Sciences (2011), recipient of the Western Society of Criminology President’s Award (2017), recipient of the Academy of Criminal Justice Sciences Bruce Smith, Sr. Award (2019), and has also received numerous teaching awards including the University of Florida's College of Arts & Sciences Teacher of the Year Award (2004), the University of Maryland's Top Terp Teaching Award (2008), the University of Texas Regents’ Outstanding Teaching Award (2014), as well as the University of Texas at Dallas Diversity Award. In 2018, he was named to The University of Texas System’s Academy of Distinguished Teachers. Professor Piquero has served on a large number of departmental, school, college, and University committees, including most recently Co-Chair of the UT-Dallas Committee on Qualifications (i.e., University tenure and promotion committee). In August 2015, he was selected by UT-Dallas President Wildenthal to serve on the UT System Working Group for Concealed Carry and organized the UT-Dallas implementation of the new Campus Carry Bill. His research has been featured in several national and international television and newspapers including: The New York Times, Reuters, CNN, The Los Angeles Times, The New Yorker, Wall Street Journal, USA Today, The Huffington Post, The Atlantic, Pacific Standard Magazine, and the Dallas Morning News, and he is a part of the contributor’s network for The Huffington News and the Dallas Morning News. In February 2016, NBC News Latino profiled him via an exclusive interview with Washington Post syndicated columnist Esther J. Cepeda (https://www.nbcnews.com/news/latino/what-i-ve-learned-our-talk-top-ranked-criminologist-alex-n522046). Magid Term Professor, College of Liberal Arts & Sciences (CLAS), University of Florida. Recipient, College of Liberal Arts & Sciences (CLAS) Teacher of the Year Award, University of Florida. Received Outstanding Teacher Award from the Panhellenic Association. University of Maryland. Received Returning Students Program Award for Outstanding Teaching. University of Maryland. UT Dallas criminologist Dr. Alex Piquero will offer testimony on the cost and benefits of crime prevention during an April 24 hearing led by the U.S. Attorney General’s Task Force on Children Exposed to Violence. Piquero, an Ashbel Smith Professor of criminology in the School of Economic, Political and Policy Sciences, received an invitation to speak at Wayne State University in Detroit, Mich., where task force members ranging from practitioners to family advocates will hear from experts about the problems associated with children’s exposure to violence in the United States, both as victims and as witnesses. Piquero said he is honored to speak at the forum, which will be the task force’s final hearing. Support for NFL players’ protests during the national anthem divided sharply along racial lines in a new survey of college students by UT Dallas researchers. Nearly all — 90 percent — of black respondents supported kneeling during the national anthem. Only 38 percent of non-black respondents did. In addition, 100 percent of black respondents believed that the NFL should not punish players who protest during the national anthem. Only 25 percent of non-black respondents believed that as well. A recently published book named Dr. Alex Piquero, Ashbel Smith Professor of Criminology at UT Dallas, one of the most-cited scholars in his field. “Most-Cited Scholars in Criminology and Criminal Justice 1986-2010”documents scholars' work in major criminology and criminal justice journals, and their most-cited works, during the 25-year period. It builds upon previous research, adding citations from 2006 to 2010 by examining citation data in indexes, online scientific archives and reference lists. "Alex is a gifted and prolific scholar," said Dr. John Worrall, head of the criminology program. “His citation count testifies to the importance of his work, not just its volume." 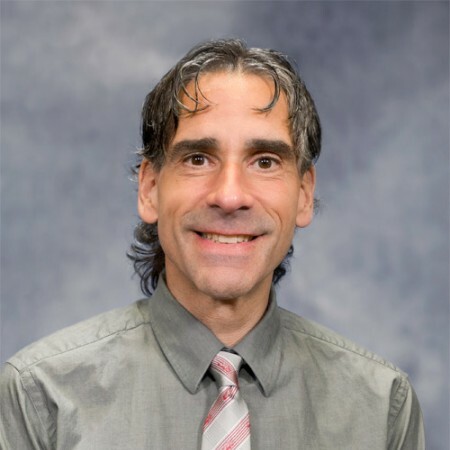 Dr. Alex Piquero, Ashbel Smith professor of criminology in the School of Economic, Political and Policy Sciences (EPPS), has been appointed to the U.S. Department of Justice’s Office of Justice Programs (OJP) Science Advisory Board. He was selected as one of 19 new appointees to the 25-member board of research scholars, practitioners and policymakers. “The Office of Justice Programs Science Advisory Board advises the OJP leadership in the areas of social science and statistics for the purpose of enhancing the overall impact and performance of OJP programs and research,” said Karol V. Mason, assistant attorney general who heads the OJP.